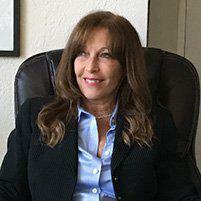 Flavia van Riel, MD is a leading psychiatrist treating patients throughout the greater Miami area from her private practice in Miami Beach and Miami, Florida. Dr. van Riel provides services including psychotherapy, relationship counseling, psychiatry consultations, medication reviews, and treatment for anxiety, depression, bipolar disorder and other mood disorders, as well as Alzheimer’s and other forms of dementia. Dr. van Riel has been in practice for 15 years, providing her patients with highly personalized care and attention. Dr. van Riel earned her medical degree at the University of Buenos Aires School of Medicine before serving her psychiatry residency at Jackson Memorial Hospital in the University of Miami program. She also completed a fellowship in geriatric psychiatry at Jackson Memorial Hospital - University of Miami Fellowship program. Dr. van Riel works with patients ranging in age from adolescence to elderly but does not work with children. Patients benefit from her experience and compassionate attentive approach to psychiatric care. Dr. van Riel does not accept insurance but she does provide the necessary paperwork for PPO insurance reimbursement. There is no screening process for Dr. van Riel’s practice. If a patient calls for a consultation or appointment, the office or one of her staff members will respond within 24 hours. In most cases, she evaluates the patient for approximately 60 minutes in person, at the time of the initial psychiatric evaluation. She looks forward to meeting new patients at her offices in Miami Beach and Coral Gables, Miami. Dr. Flavia Van Riel is out-of-network with all insurances but will provide all necessary paperwork for PPO insurances only for reimbursement.